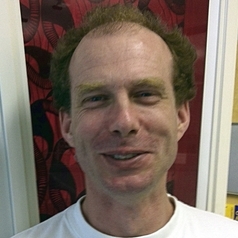 Dan is Director of the Sheffield Institute for International Development (SIID). He trained as an anthropologist at UCL, where he wrote his PhD under Kathy Homewood’s supervision, and then worked at the Geography Departments of the Universities of Cambridge and Oxford before moving to Manchester and Sheffield respectively. Most of Dan’s research has been in Tanzania, where he has worked on livelihood change, natural resource governance, microfinance and institutional performance, however he has also worked in South Africa, Australia, New Zealand and India. His broader interests include work on global overviews of the social impacts of protected areas, media and conservation and continental-wide examinations of the work of conservation NGOs in sub-Saharan Africa. Most recently he has worked on celebrity and development, based largely on work in the UK. He is happiest conducting long term field research in remote areas of East Africa but also learns much from studying organisations and the occasional plush fundraising event. His books are: Fortress Conservation (2002), Nature Unbound (With Rosaleen Duffy and Jim Igoe, 2008), Celebrity and the Environment (2009) and Celebrity Advocacy and International Development (2014).